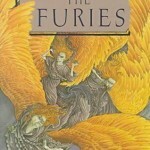 May the Furies actions be swift! Magaera: Good Lord, I did NOT know about this. How interesting! Wish my healthcare was in the range of $600, that would be great! Tisiphone: This is sad, in the fact that the police officer in this case, Mr. Mann was reinstated, a criminal under the cloak of law enforcement. Unreal. If there is a petition out there, send it my way, for me to sign. Alecto: I did read that, glad he's gone. Good riddance! Furies, hopefully you can get together for some down time, if for only an hour or so. "“At first it’s cool, and then you realize, I’m filling some drugs that are for some pretty serious health problems as well. And these are the people that are running the country,” Kim said, listing treatments for conditions like diabetes and Alzheimer’s. I've been thinking a lot about this of late. The constitution sets minimum age limits for certain offices but no maximums. I think this is a problem. The two "seemingly" leaders for the Democrat nomination are Biden and Sanders who will be 72 and 77 at the time, assuming they live that long and with a pharmacy and medical care at hand, may well. No one has better health options than politicians and former politicians. Then, Elizabeth Warren is mentioned too, though she quashed the idea before, she's the same age as Hillary. Now, I admire these people. But I want them to stay the hell away from the 2020 campaign. Trump too, he's already 71 and if still in office in 2020, well, same issue applies to him. It is time the next generations move up into leadership roles. Boomers and Traditionalists (the generation before us) have an enormously hard time giving up power. Or anything else. But there are young leaders ready to step up and it is time. My personal preference, at the moment, is California's Kamala Harris and Joe Kennedy for veep. Whomever it ends up being, I just don't want it be another person from the boomer or above generations. And I'd like to see the constitution amended to put an age limit on federal judges including SCOTUS. Power passes peacefully from election to election, it is damn time that it do so from generation to generation too. Let the generations that are going to have clean up the mess we boomers and older made, get started on that work now. Bernie, Joe, sit down and relax, let the youngsters have their day, it's time. It's right. It's necessary. Tisiphony: I hate to be in your shoes, because the request to finally reform law enforcement has landed on your, and your sister’s desk before. It’s hard where to start when the problem is so widespread and through all ranks and offices. Law enforcement even seem to take its lead from the Catholic Church which also uses “geographic therapy” (excellent description) to have their abusers start anew somewhere else with a clean slate. The need to change needs to come from the inside, so you best start there, Tisphony. Alecto did a good job and had the rogue cop fired, but as you say, Joanne, there’s no guarantee that he won’t be reinstated somewhere else. Strange, isn’t it. The NSA is tracking thousands upon thousands of people and is storing data on millions more, but we can’t come up with a system that integrates all the HR data of law enforcement and which makes alarm bells go of when a cop who has been fired for ‘inappropriate conduct’ tries to start afresh at another station.